A superb rendering of the cast of characters of Futurama, from Al Gore to Zoidberg. 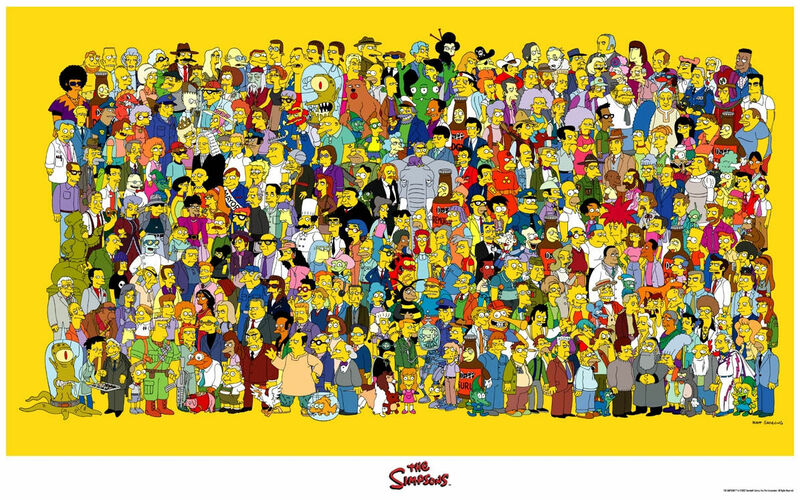 Kenneth White has been adding to the image for years and it is reminiscent of the Simpsons cast poster I have hanging in the basement. The next direct-to-DVD Futurma release, The Beast With a Billion Backs comes out next week and I'm hoping they will have gotten by the "Hey, remember all these guys?" format that made it seem more of a retrospective than a new episode. I have a great love of Futurama and don't want to see its legacy diluted by a Lucas-esque desire to fix what wasn't broken. Obsoletely Fabulous? From Here to Absurdity. Wow. I didn't know that there were that many characters! It is an infinite universe.